Finning International is the world’s largest Caterpillar dealer, selling, renting and providing parts and service for equipment and engines. The company operates in three geographies – Canada (52% of revenue), UK & Ireland (16%) and South America (32%). It operates a large network of product support services across British Columbia, Yukon, Alberta, Saskatchewan, the Northwest Territories, and a portion of Nunavut. Finning has been around for the last 85 years, and caters to a wide range of customers in various industries such as mining, construction, petroleum, forestry and power systems. Unmatched service capabilities and a widespread product support infrastructure has helped the company develop a loyal customer base over the years. Product support accounts for a lion’s share of Finnings’ revenues (54%), followed by new equipment (37%), used equipment (5%) and rental (4%). Finning has a deep diversification across geographies, customers and industries.The company should benefit from strong market demand in Chile, Canada and the U.K.
Finning is directing its capital expenditure of $80-90 million this year, towards process and technology improvements, ultra class mining vehicles, and digital and e-commerce capabilities. The company has been successful in increasing its share of the total addressable opportunities in online parts and connected assets markets, through continuous investments in equipment connectivity and digital commerce. Finning is investing strongly in digital initiatives which has helped it improve key performance metrics significantly. The company has made significant improvement in digital sales and today, 26% of parts outside of service jobs are ordered online, up 5% since the last year. Investment in digital initiatives is bearing fruit as it is already accretive to EBIT, a year ahead of Finning’s plans. Finning is also improving its supply chain dynamics which should result in better capital efficiencies. Increasing copper production should support replacement demand in South America over the next few years. In its rental segment, Finning is witnessing better pricing, utilization rates and customer loyalty. On the downside, Finning suffered to the tune of $20 million, from a negative tax impact of the Argentine peso devaluation in the third quarter. Finning has estimated $500 million in incremental revenues over several years as LNG Canada makes progress in the country. The company is targeting to deliver 20% return on invested capital over time. Solid equipment demand and product support across all sectors, strong order intake and backlog should drive top line growth. Finning is one of the best dividend-growth stocks in the market today, having raised its dividend for the 17th consecutive year in 2018. This dividend aristocrat has grown its dividends at 6% CAGR over the last five years. The last raise was also 6%. Finning has been returning cash to shareholders through a combination of dividends and share buybacks. In addition to the previously announced NCIB to purchase up to 5,300,000 of its shares, Finning has also entered into an automatic share purchase plan. Being the largest Caterpillar dealer globally, Finning is in a good position to take advantage of Caterpillar’s stellar reputation in the market across industries and geographies. Every Cat machine is backed by its Global Dealer Network, which is acclaimed for providing parts, service and equipment worldwide. Caterpillar is the world’s leading manufacturer of construction and mining equipment. It is the preferred brand for professionals across industries and is known for its Industry leading performance and superior quality. New equipment sales in Chile and significant equipment deliveries in Q4, particularly in Canada should drive strong free cash flow for the remainder of the year. Finning is favourably placed to benefit from its global expertise and insight, and the reputation of being a trusted partner. The company’s focus on customer-centric growth strategy, a reduced cost structure and sustainable operating improvements are expected to generate earnings growth as demand increases. Higher profitability and capital discipline are consistent with the company’s commitment to grow ROIC. Finning enjoys an edge over its competition given its superior technology and a large portfolio of autonomous solutions. The company operates in very competitive equipment and construction markets. Wajax, Toromont and SMS Equipment are few of Finning’s top competitors. Wajax operates more than 100 branches across Canada and caters to diverse industries ranging from construction, industrial, oil and gas, to metal processing, mining and marine. SMS Equipment supplies a broad range of equipment, while Toromont supports market-leading brands of equipment, such as Caterpillar and AGCO. 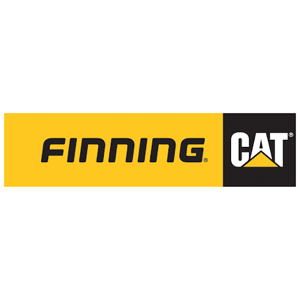 Finning enjoys the advantage of being a leading CAT dealer. An extensive global footprint, impressive portfolio of products and services and a long standing experience provide it an edge over competition. The company is committed to grow its ROIC and generate positive cash flow by driving capital efficiencies, investing in growth opportunities and strong focus on improving customer experience. Strong customer activity in Canada, favourable market conditions in construction and oil and gas will act as tailwinds for the company and should support dividend growth in the future.